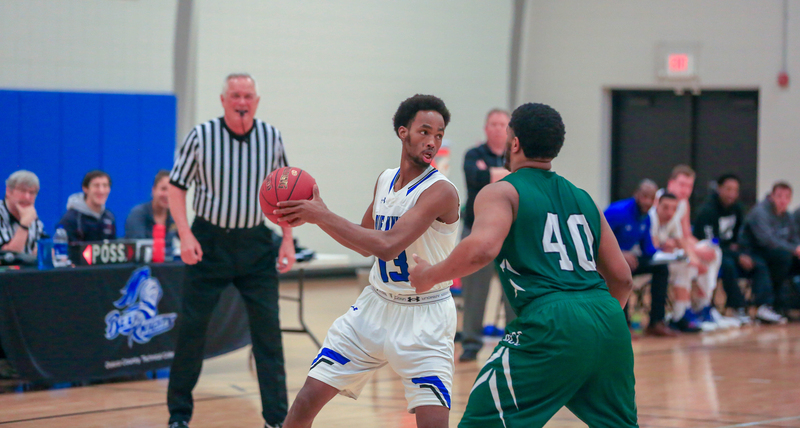 Dakota County Technical College basketball defeated the Gogebic Community College Samsons (15–15) 104–85 in a NJCAA Region 13 Sub-Region playoff game at Inver Hills Community College Activities building gym Wednesday, February 28, 2018. 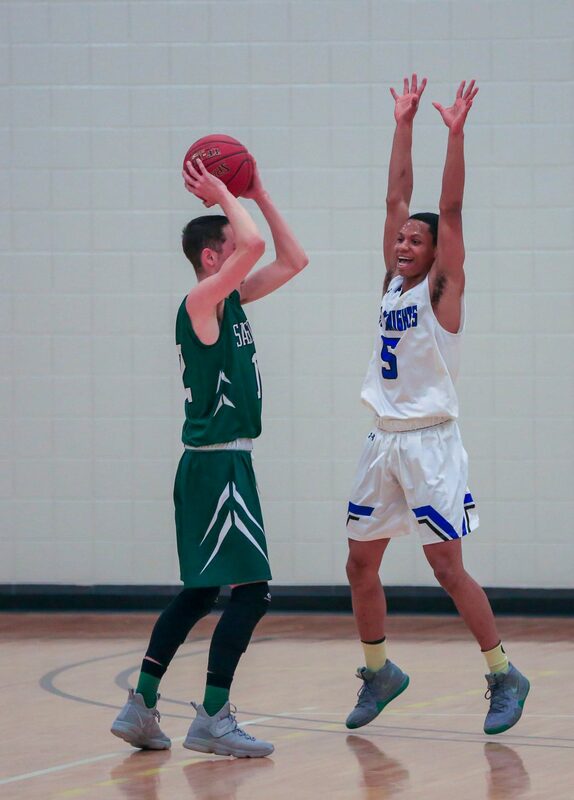 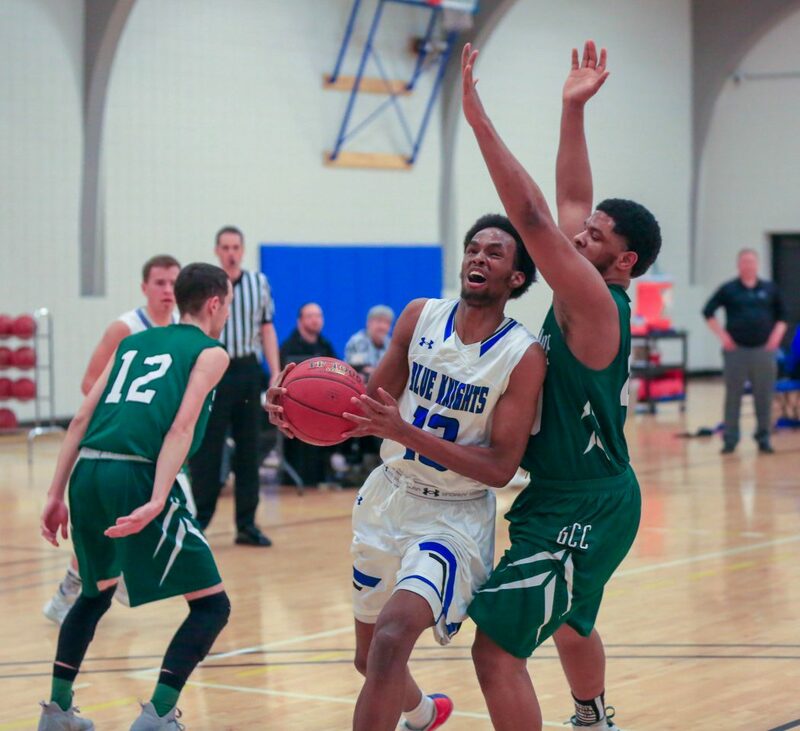 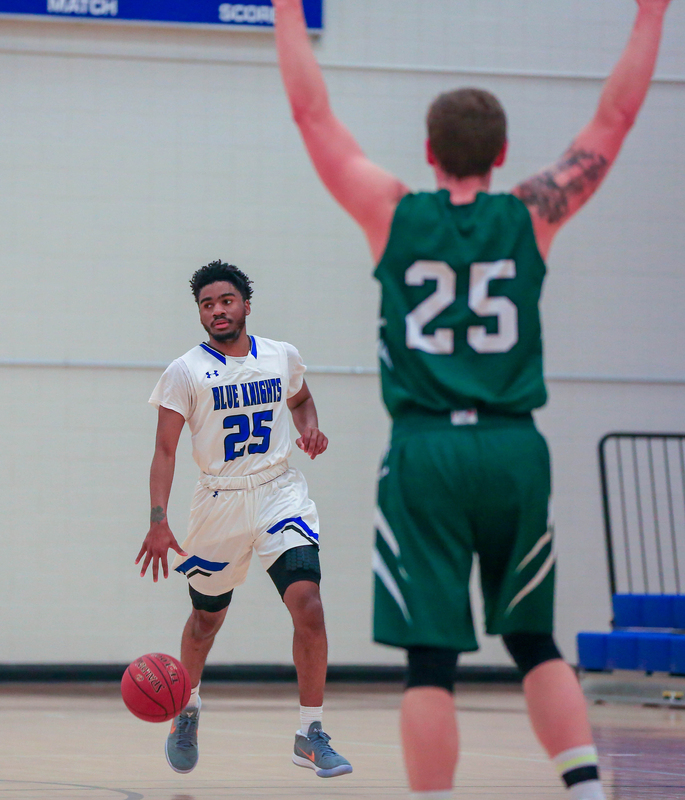 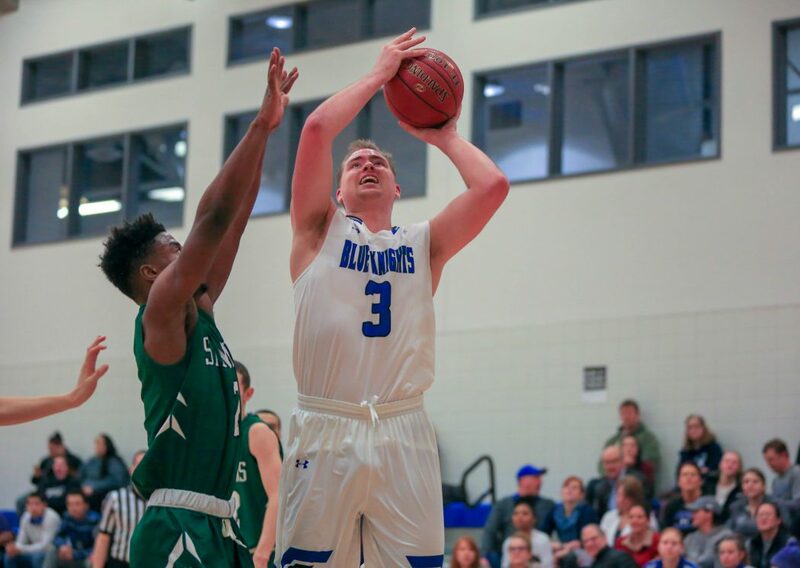 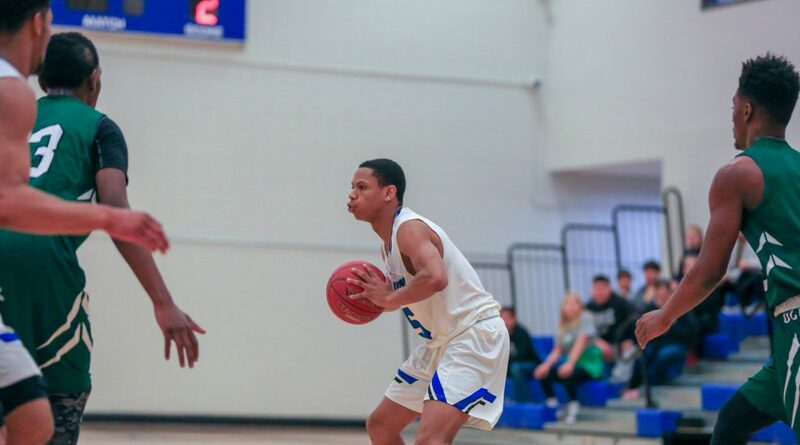 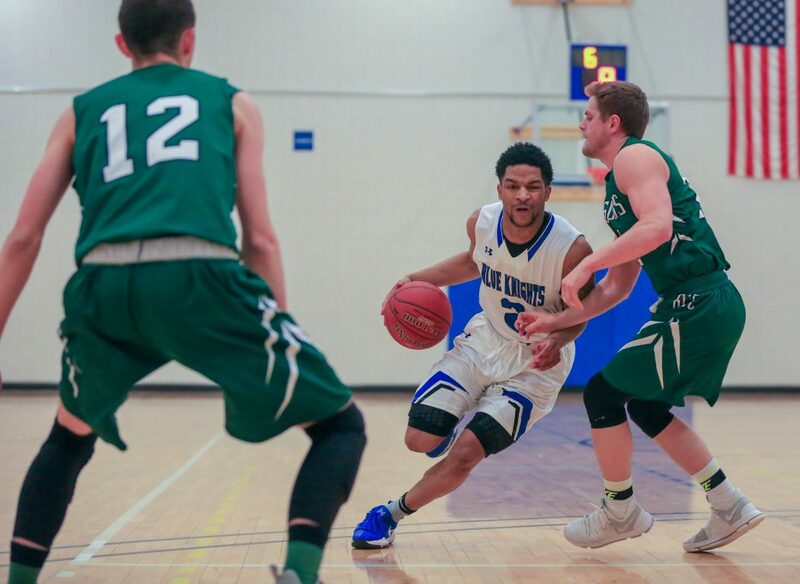 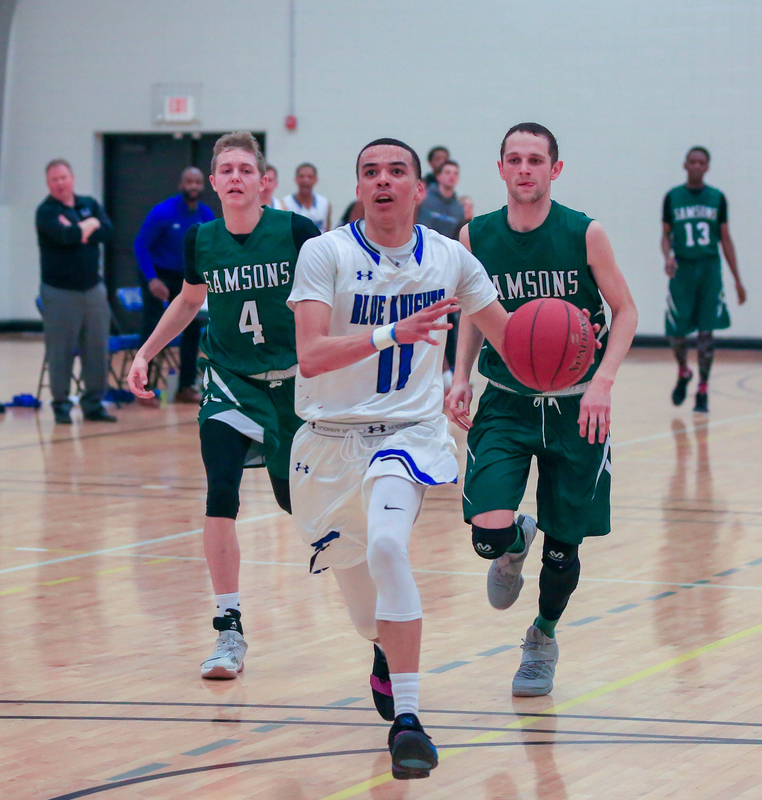 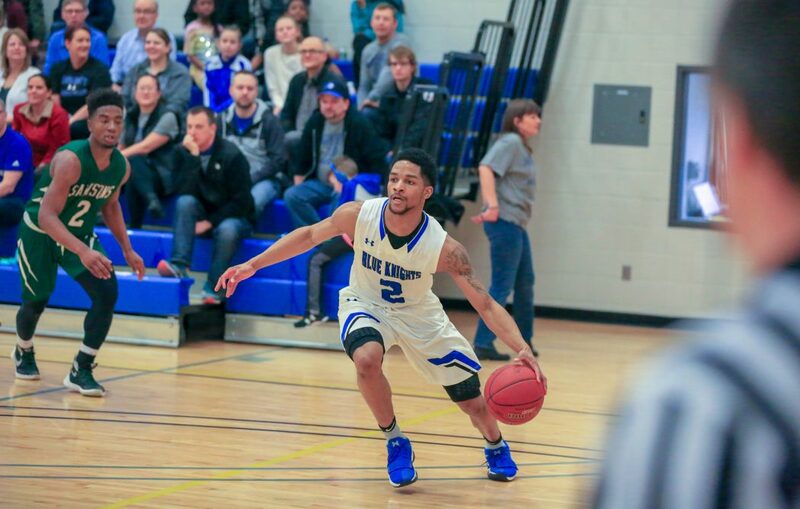 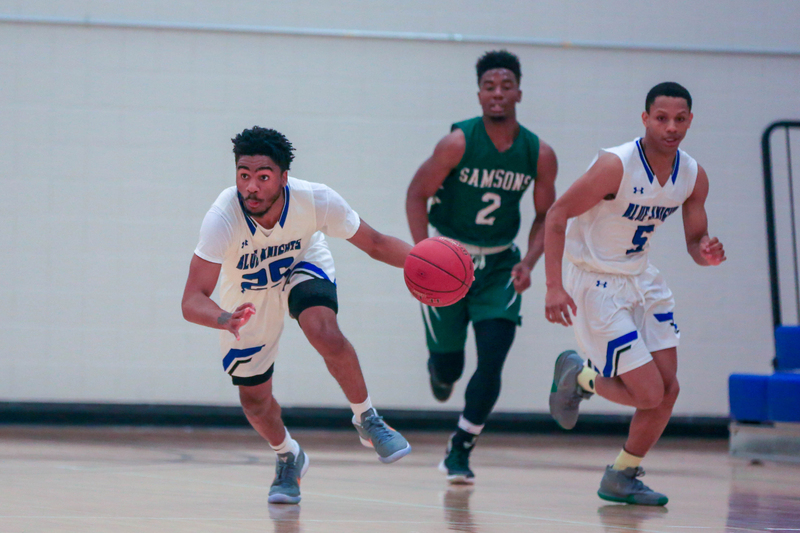 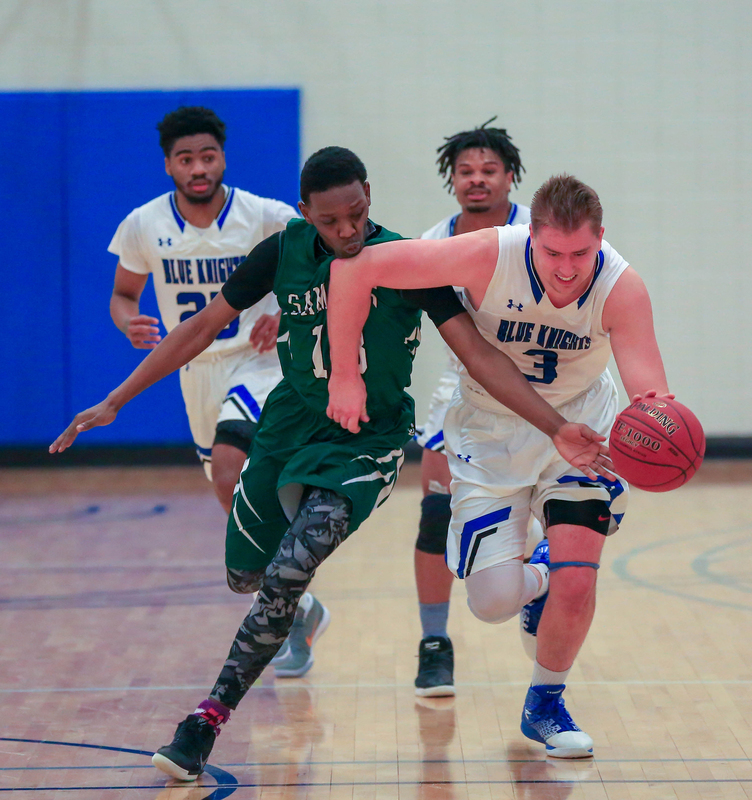 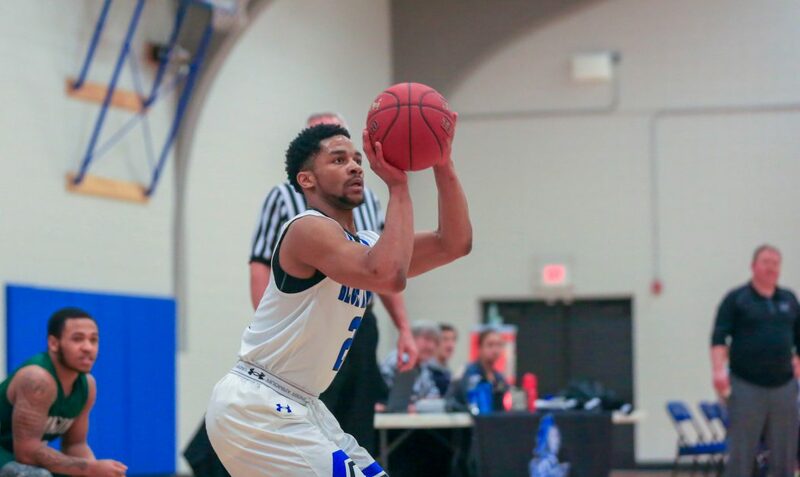 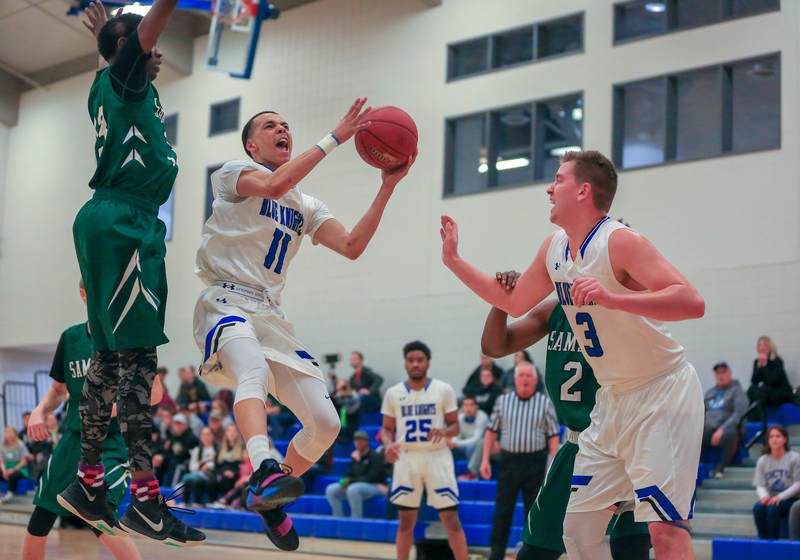 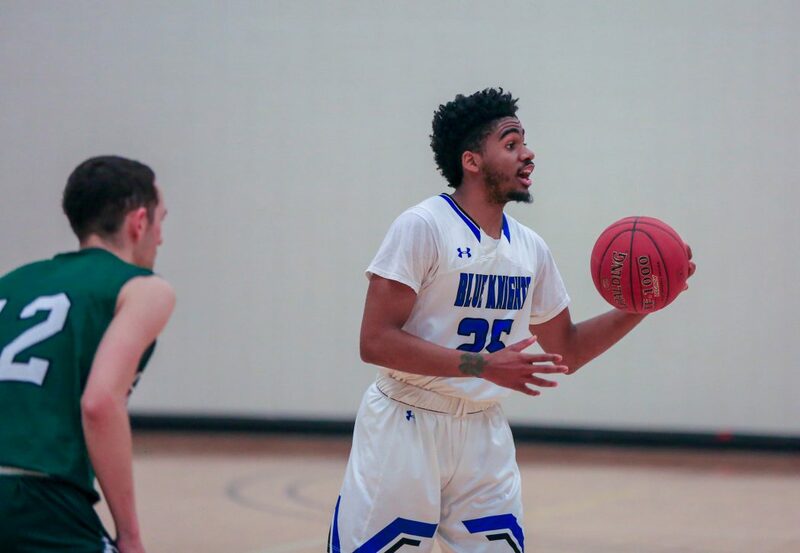 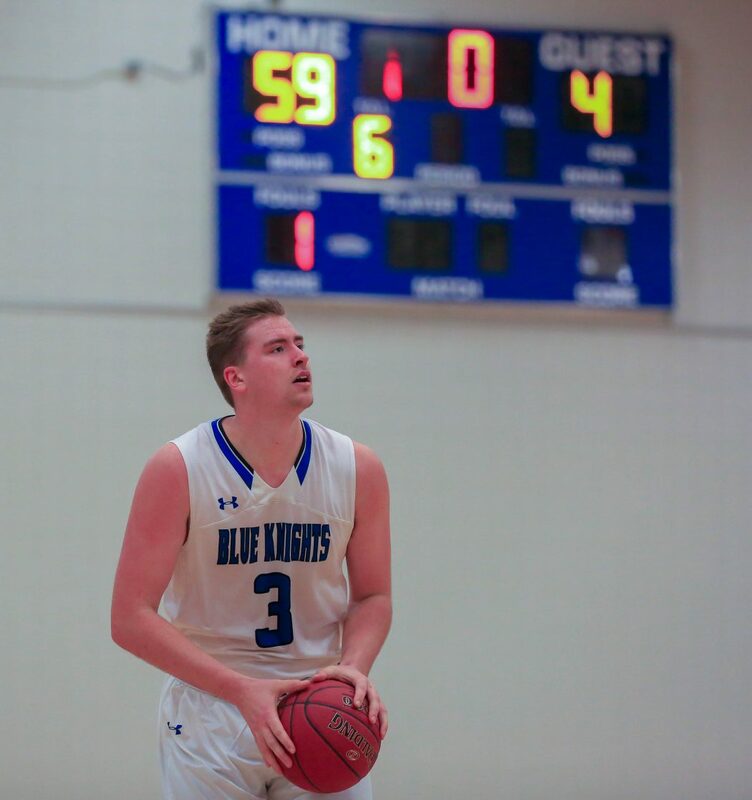 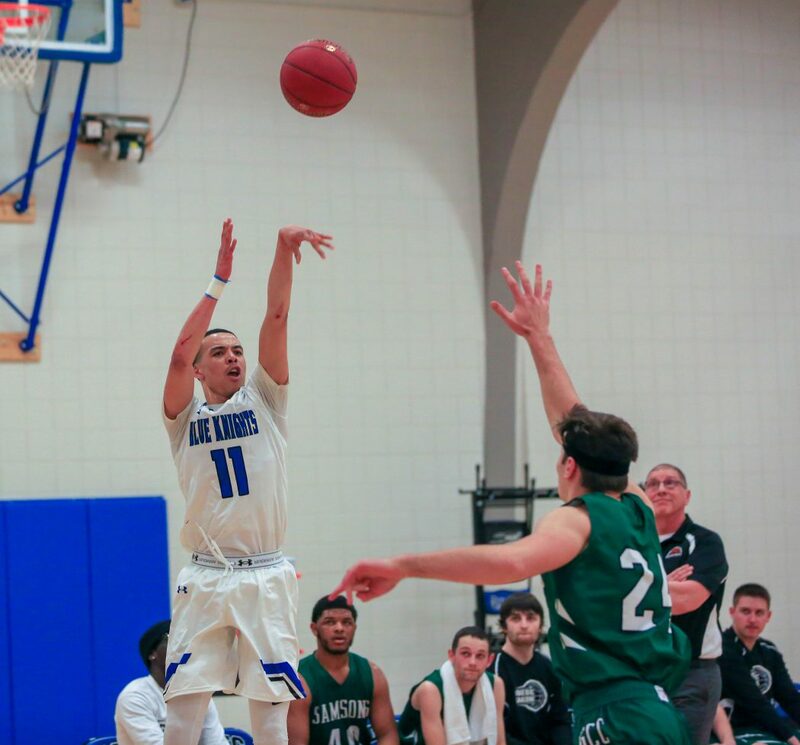 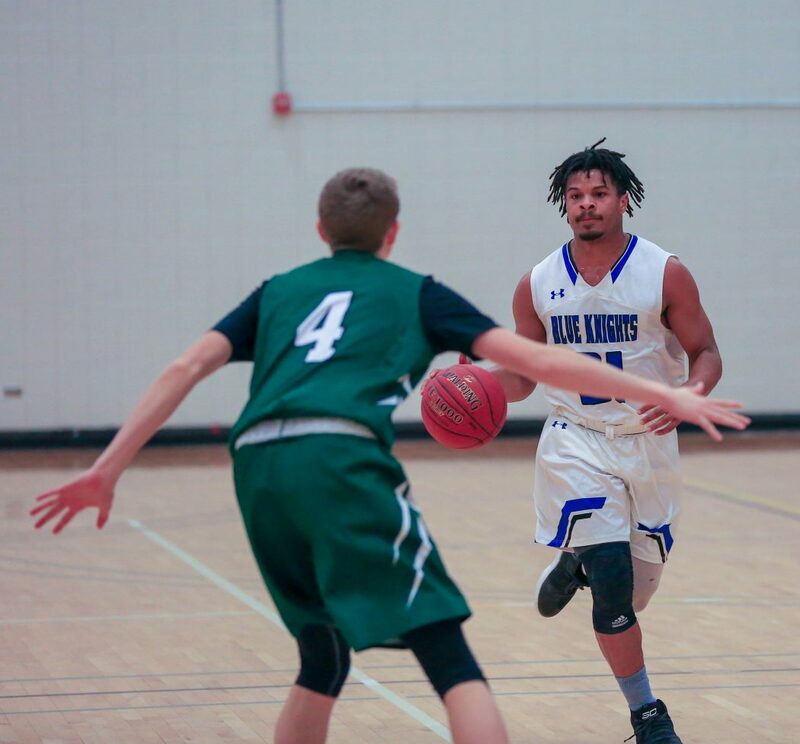 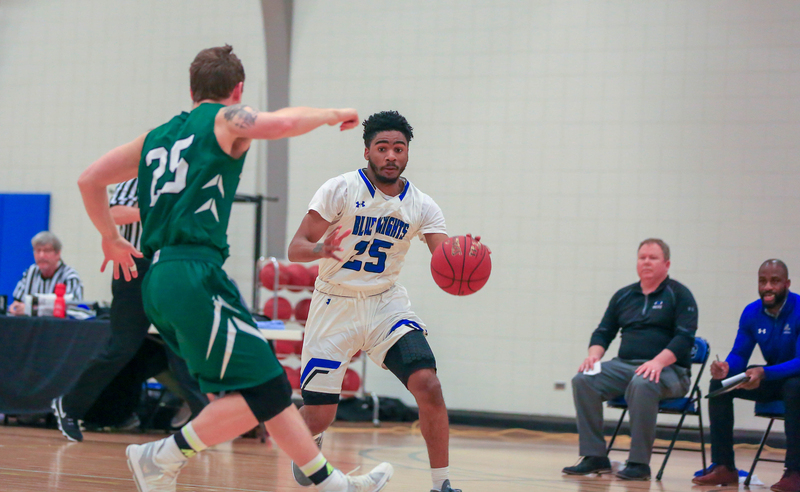 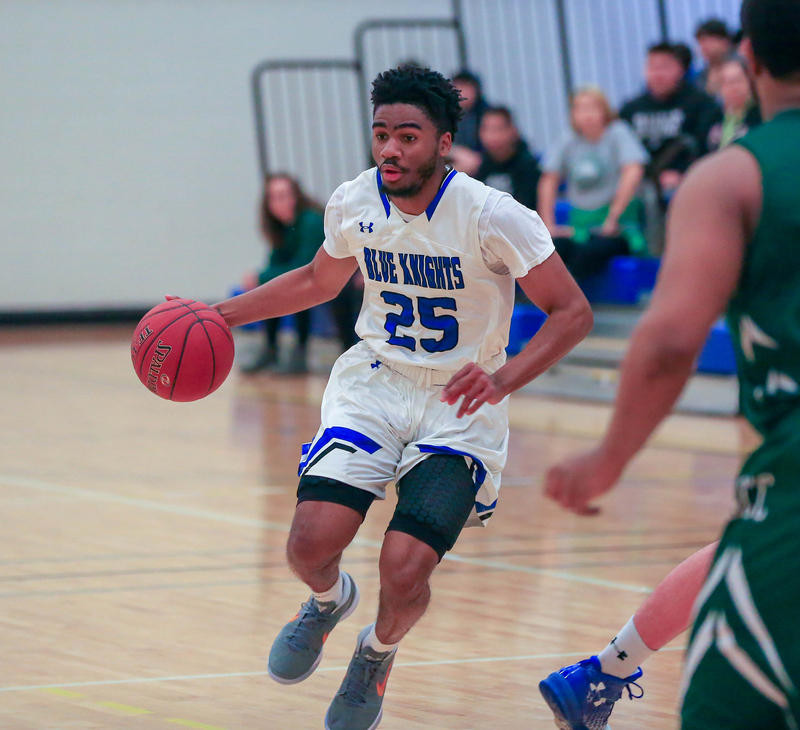 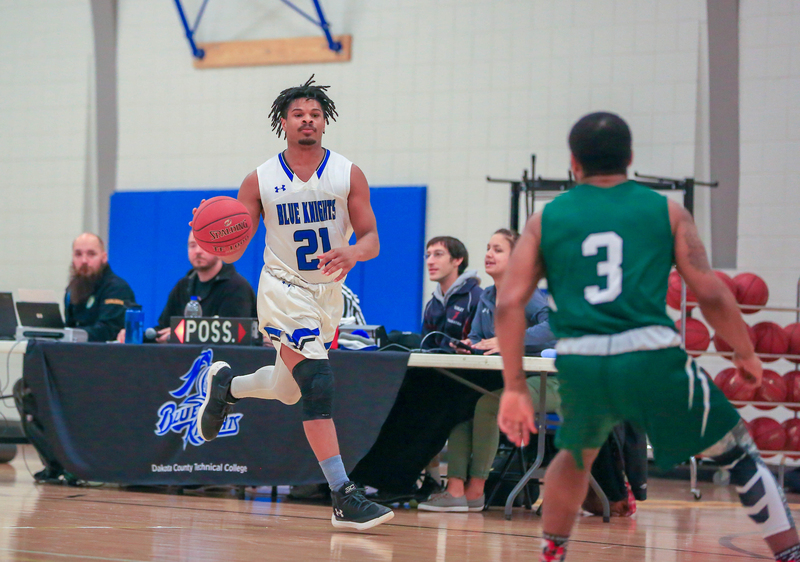 The Blue Knights have advanced to the Region 13 Championship vs the Dakota College at Bottineau Jacks (19–11), the West Sub-Region winner, Sunday, March 4, 2018, at home in the Inver gym. 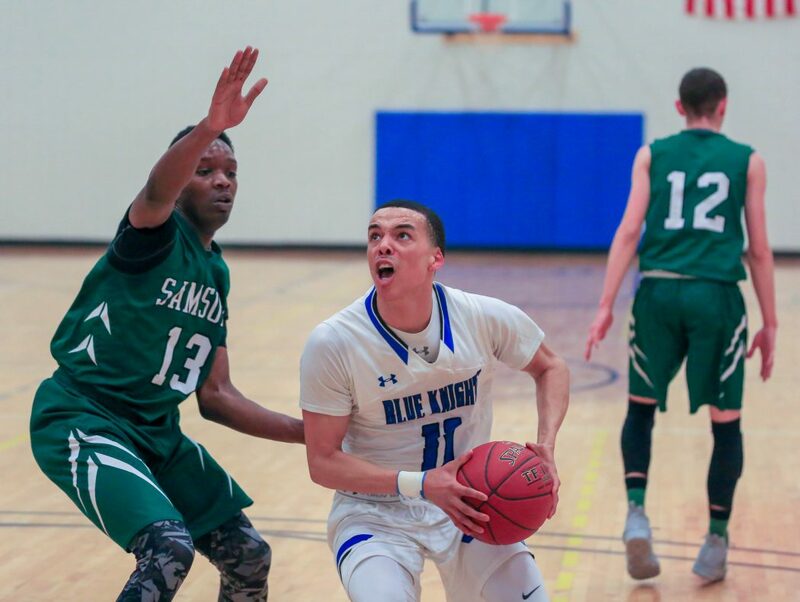 The Blue Knights play NJCAA Division II basketball. 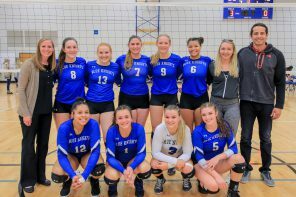 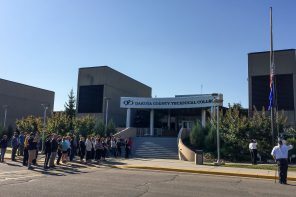 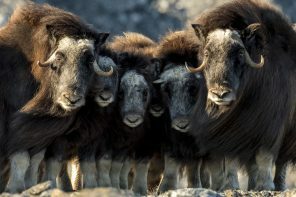 DCTC is 20–8 overall on the season. 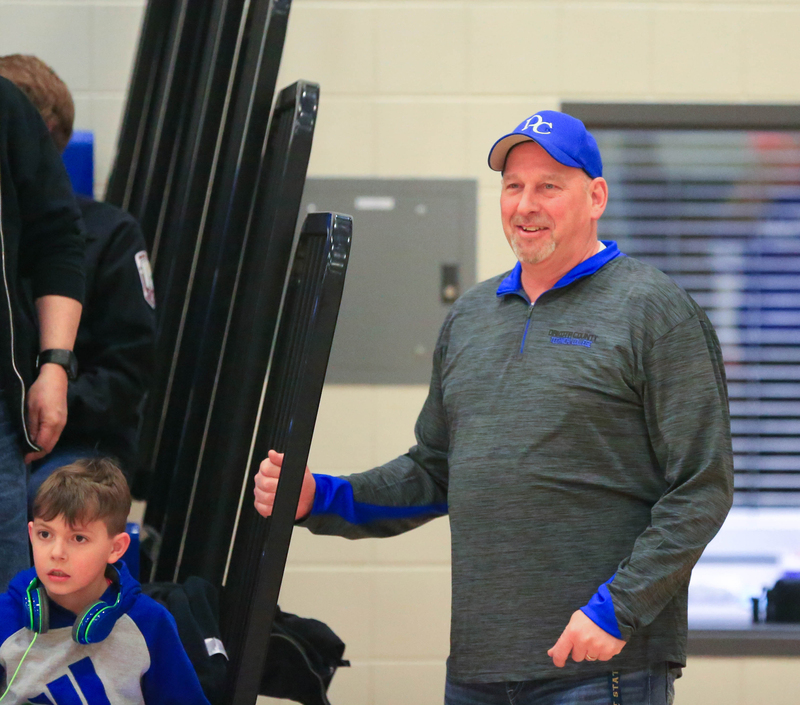 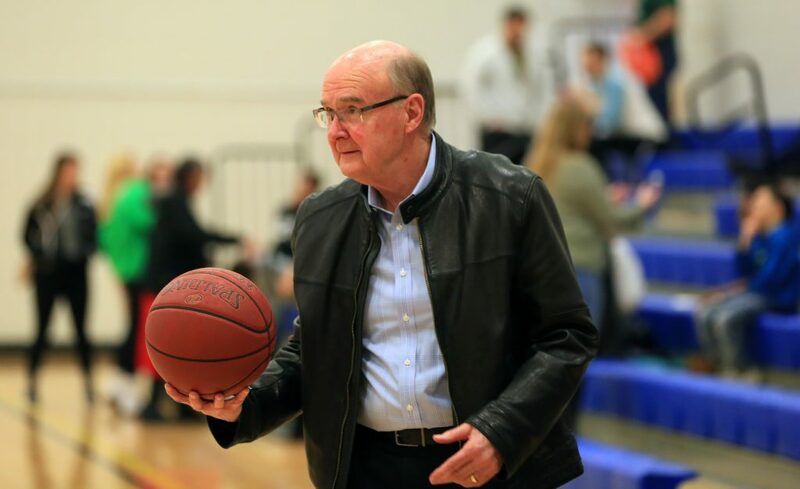 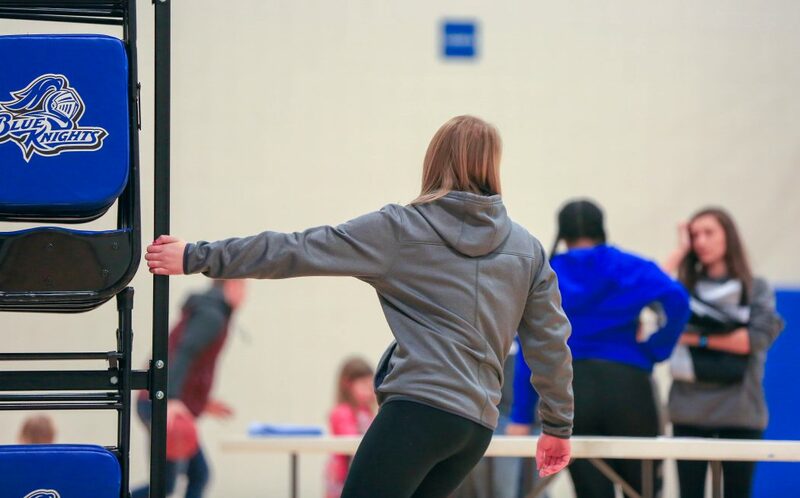 Head Coach Kelly Boe reported that the Blue Knights have matured as a cohesive squad, going 15–1 since beating Vermilion Community College in mid-December 2017. 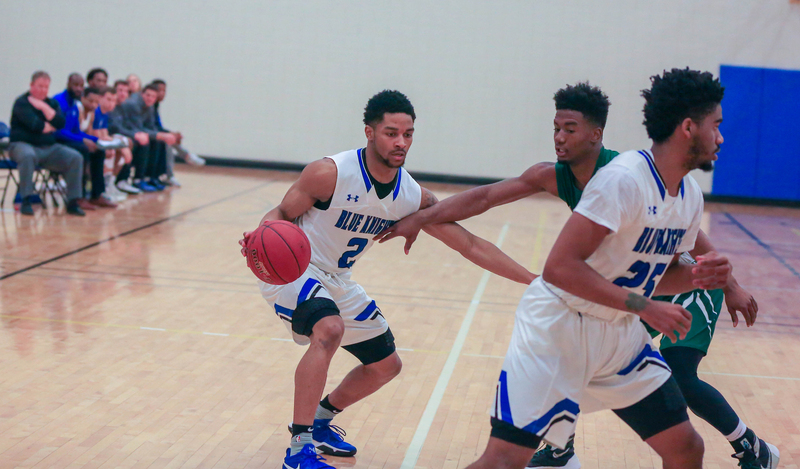 Boe added that his players are ready to defend their 2017 NJCAA Region 13 Championship against the Jacks. 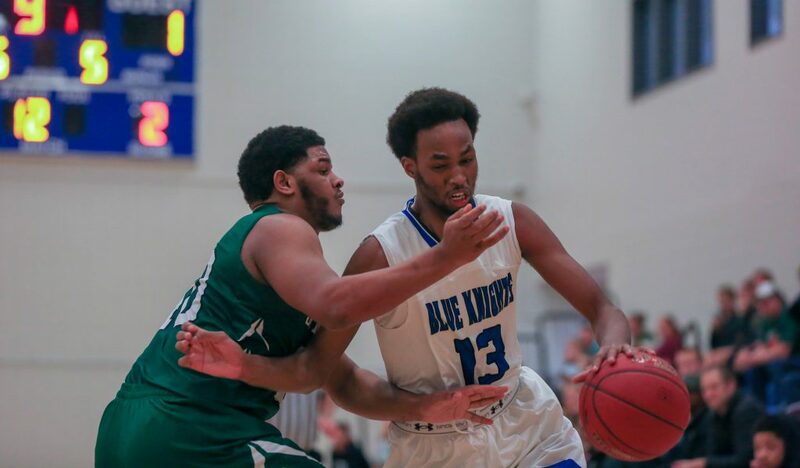 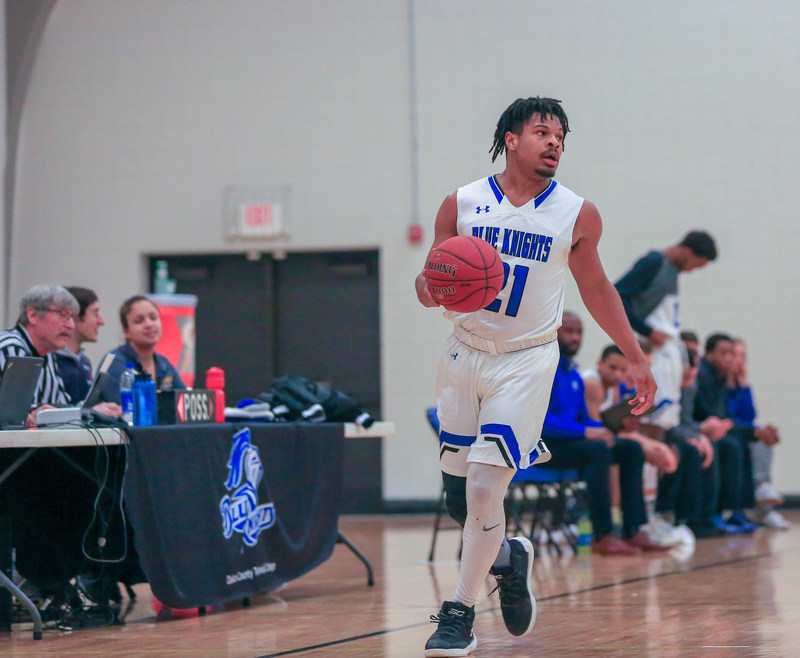 The Blue Knights defeated United Tribes Technical College 86–81 last season to take the title. 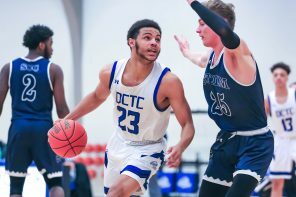 DCTC has the home-court advantage again this season. 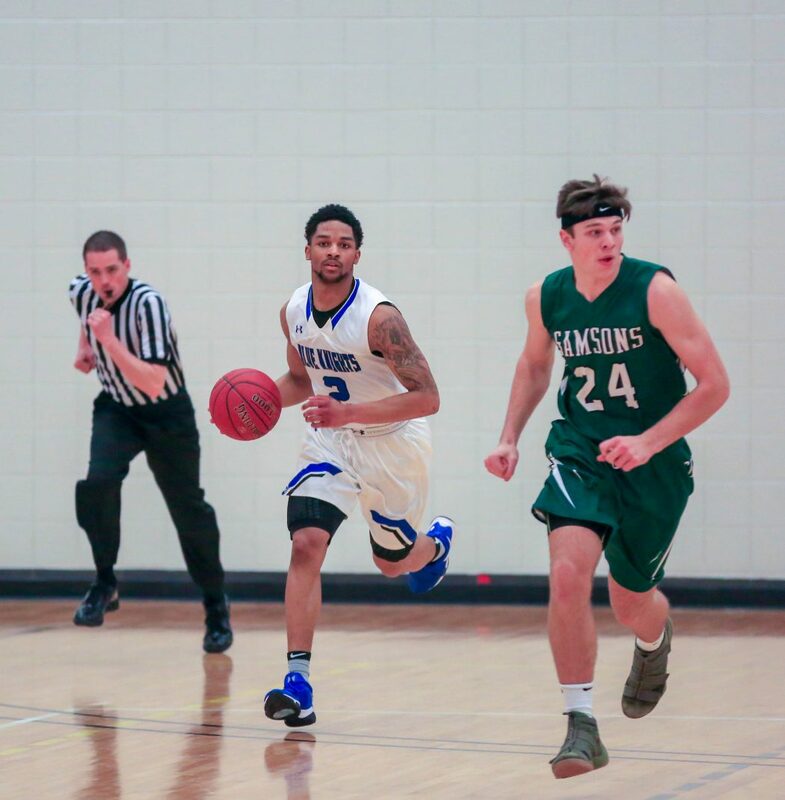 “Bottineau is a talented team and we are looking forward to the opportunity to play for the Region 13 Championship again,” he said. Kelly Boe took over as head coach of the DCTC basketball program in 2016. 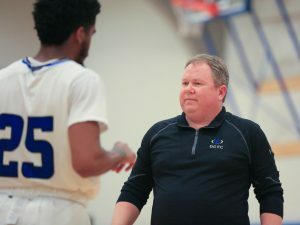 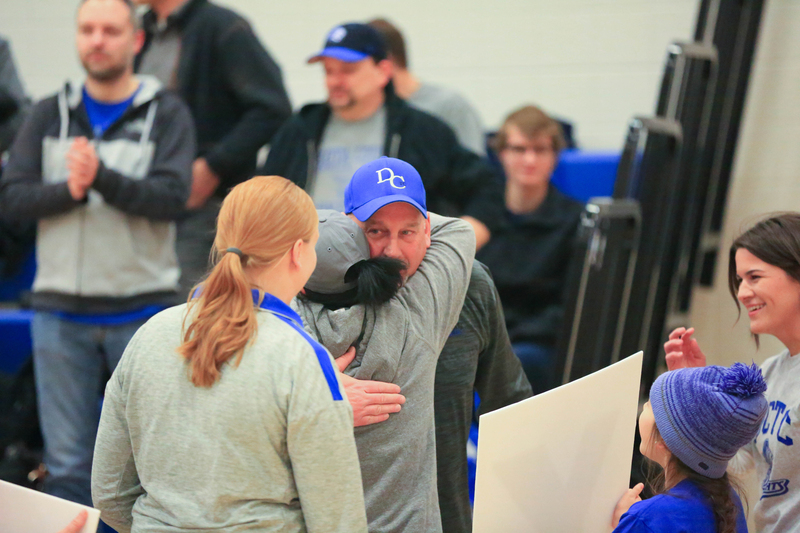 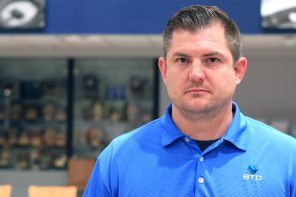 He coached the team to a District 7 Championship that season and the Blue Knights advanced to the NJCAA DII Men’s Basketball National Tournament March 2017 in Danville, Illinois. 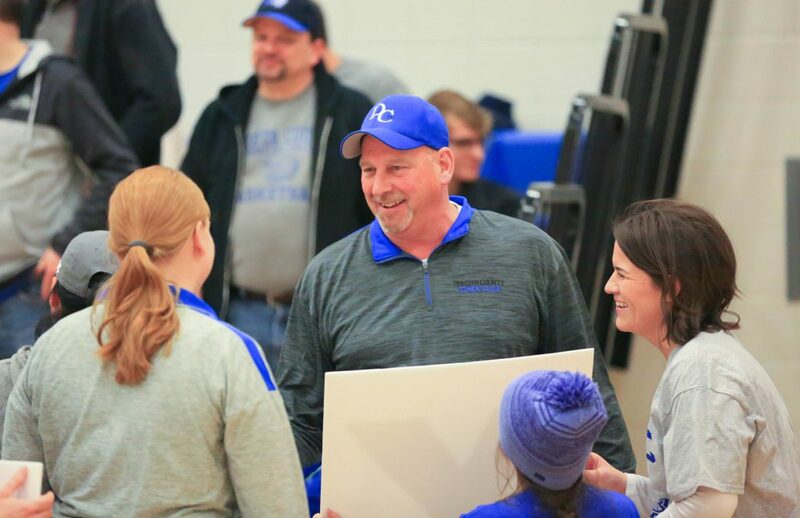 That same year, Boe was named NJCAA DII District 7 and Region 13 2017 Coach of the Year. 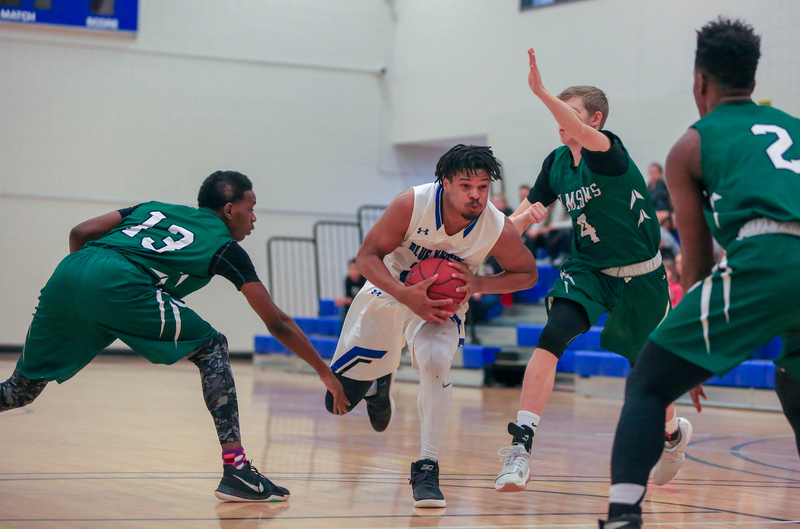 The NJCAA Region 13 Championship is followed by the NJCAA District 7 Championship, which takes place Sunday, March 11, 2018. 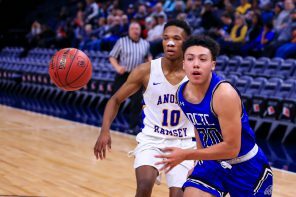 Details for the District 7 championship to be announced. 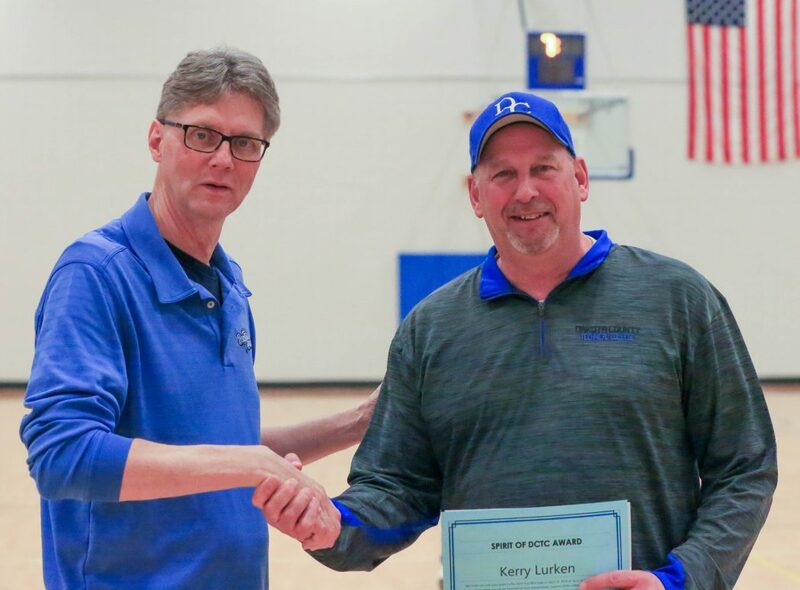 WHEN: Sunday, March 4, 2018 @ 2 p.m.
Kerry Lurken, an enrollment advisor and financial aid specialist at the college, was recognized with the Spirit of DCTC Award during halftime at the Gogebic game. 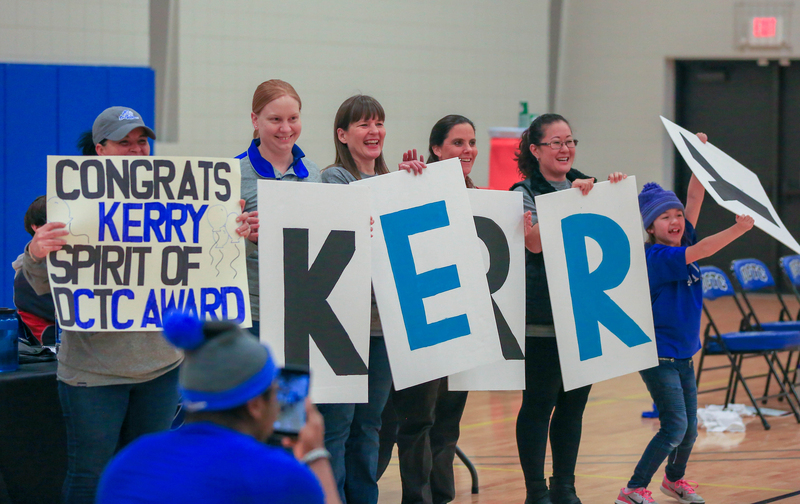 Kerry has worked at DCTC since January 1997. 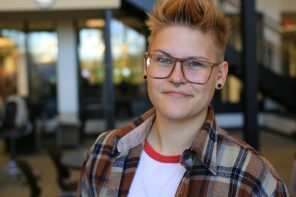 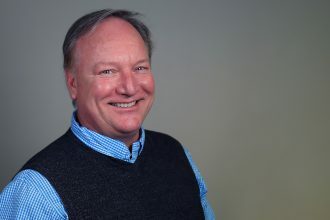 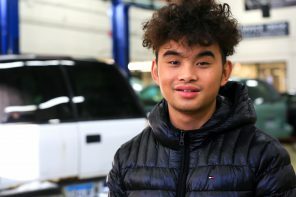 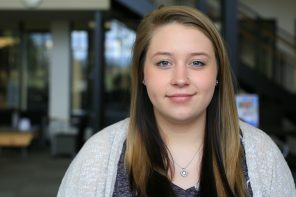 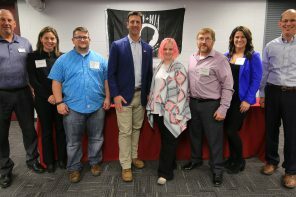 The Spirit of DCTC Award recognizes an individual who has contributed selflessly to the college mission while showing boundless support for student success in the classroom and beyond. 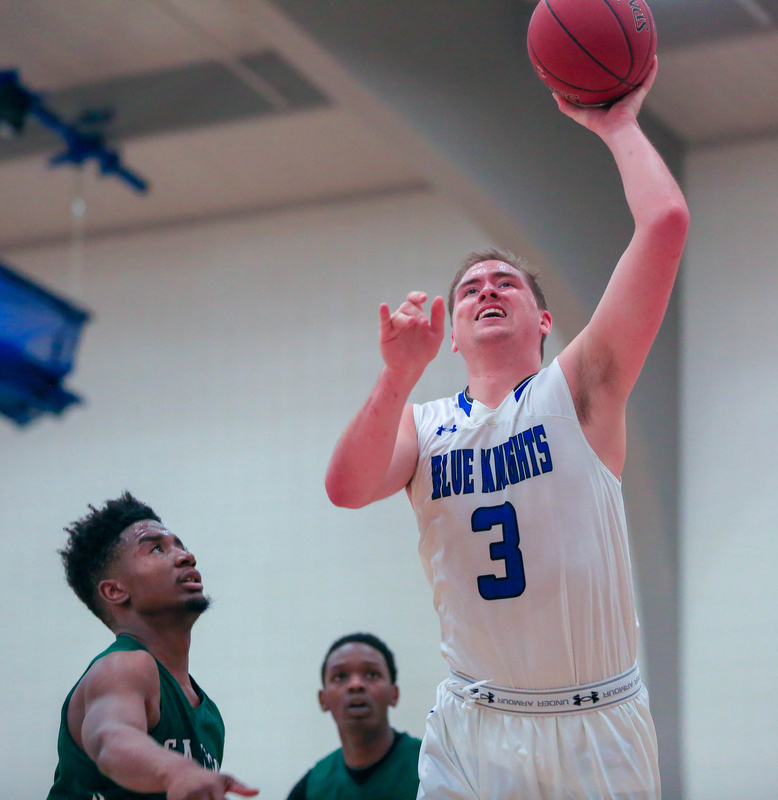 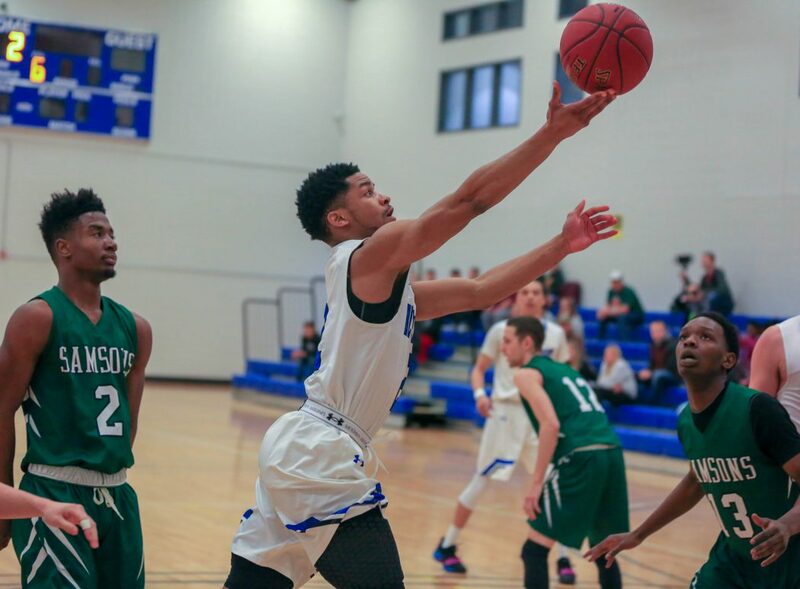 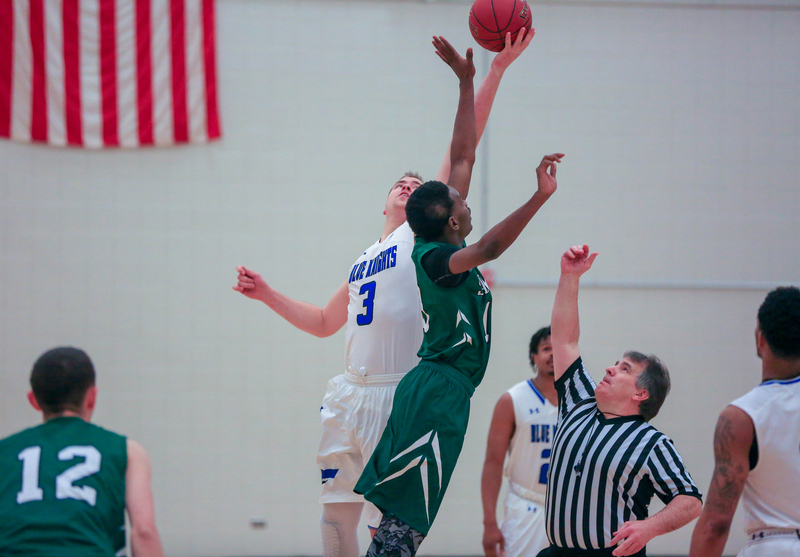 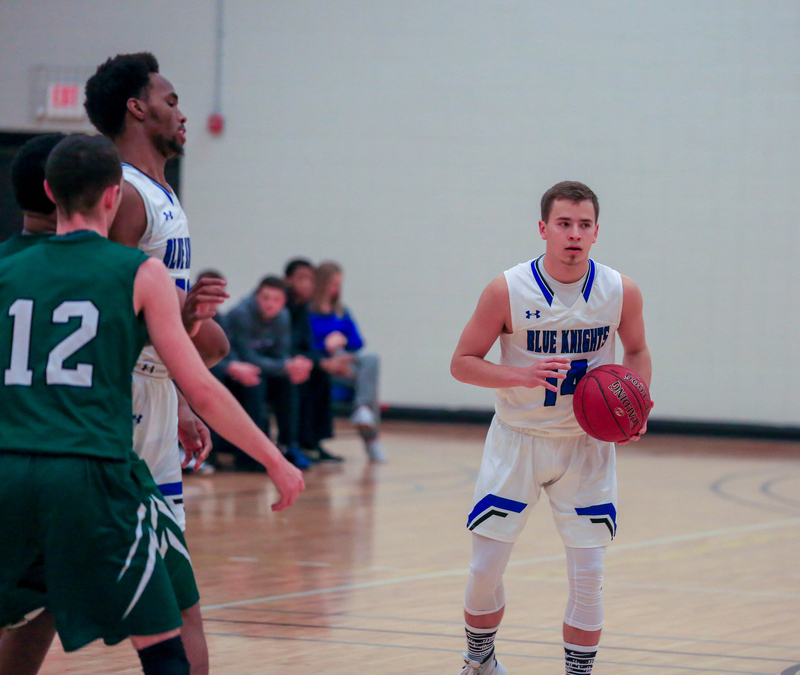 Visit Blue Knights Basketball vs Gogebic Community College on Flickr.